Planning to spend some time at Puente Romano Beach Resort and Spa? 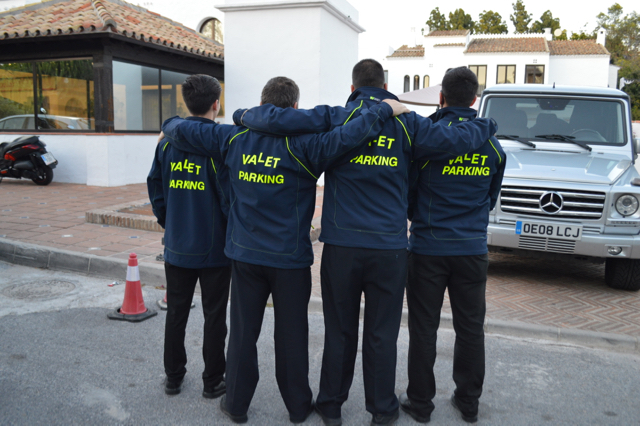 Vallet Parking is now available every day from 7pm. If you're planning to spend a lovely time at Puente Romano Beach Resort and Spa, make sure to reserve a table! Situated on Marbella's Golden Mile, Puente Romano is named after an ancient Roman bridge in the heart of its lush sub-tropical gardens. Built in the style of Andalusian village, the resort was opened in 1979 and has been a fashionable getaway ever since, with all the spacious rooms and suites offering lovely private terraces. Located directly on the beach with three swimming pools, a state-of-the-art fitness centre and world famous tennis club, Puente Romano is also a sporting paradise. Guests enjoy exclusive access to the Marbella Club Golf Resort, the Dave Thomas-designed championship course, and El Higueral, one of the most scenic courses on the coast.